I think having nice nails compliments wearing pretty flip flops. 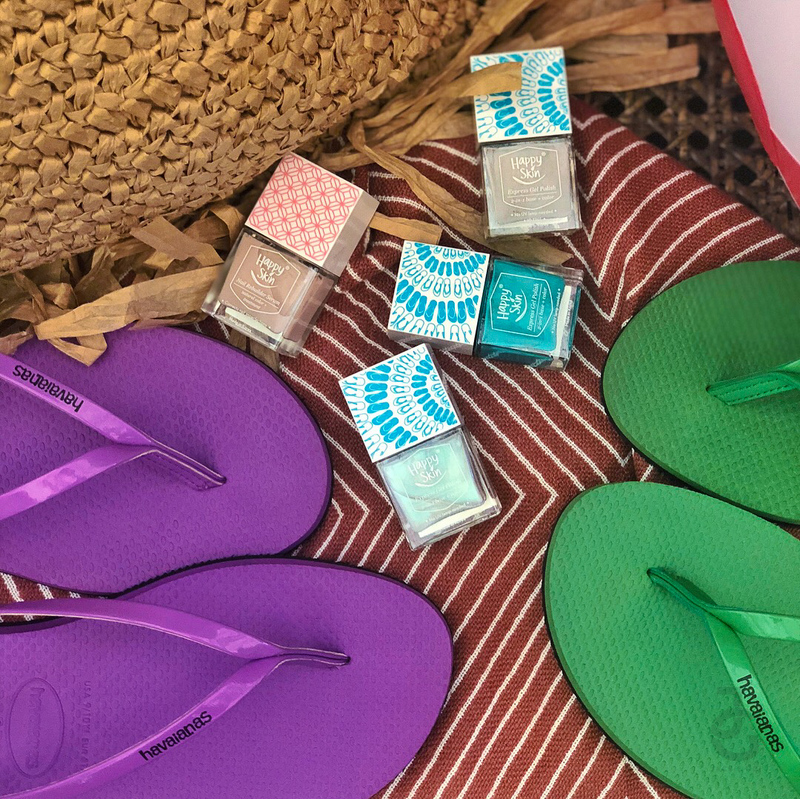 Which is why it’s a prefect team up for Happy Skin & Havaianas as both brands launched something new just in time for summer. Happy Skin Express Gel Polish #HappySkinLovesHavaianas collection comes in three wearable colors– Goddess, Wanderer, and Hero–and is Php 249 a bottle. The fast-drying, long-wearing, chip-resistant formula is 10-free and even features nail-caring ingredients like hydrolysed keratin and almond oil to keep nails strong and nourished. Buy Happy Skin x Havaianas bundle for Php 697 and save Php 50. Havaianas You Metallic collection features vegan metallic leather straps and comes in seven different colors–Black, Steel Grey, Sand Grey/Light Golden, Rose Gold, Green Bamboo, Shocking Pink, and Purple. All pairs are available at havaianas.ph as well as at All Flip-Flops, Rustan’s, and CommonThread stores for Php 1,499/pair. Purchase a HappySkinLovesHavaianas bundle plus any Women’s style pair and get a Havaianas Mini Bag for FREE! 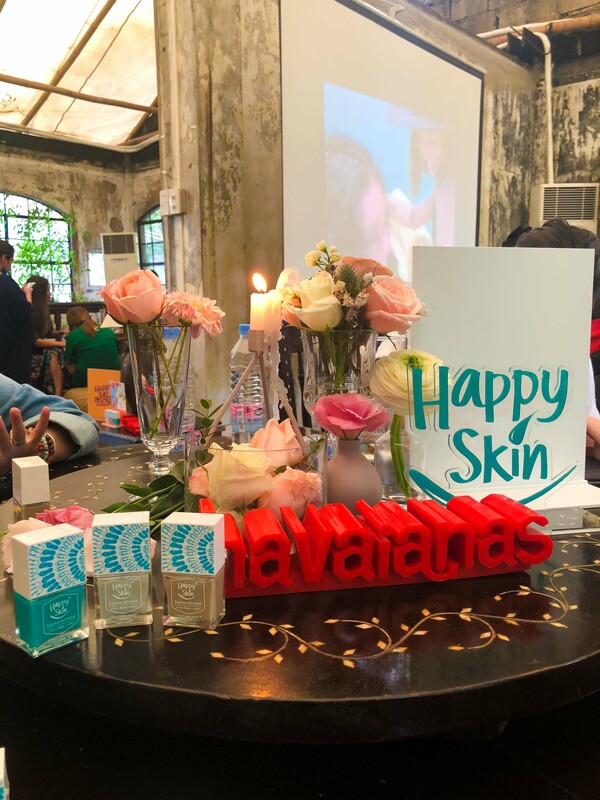 Congratulations Happy Skin & Havaianas on this wonderful collaboration!